Before setting foot on Lesbos we had such high expectations of the island in particular the village of Eresos, where it is believed the famous poet Sappho lived. For those of you who don’t know, Lesbos is considered Mecca by lesbians worldwide. 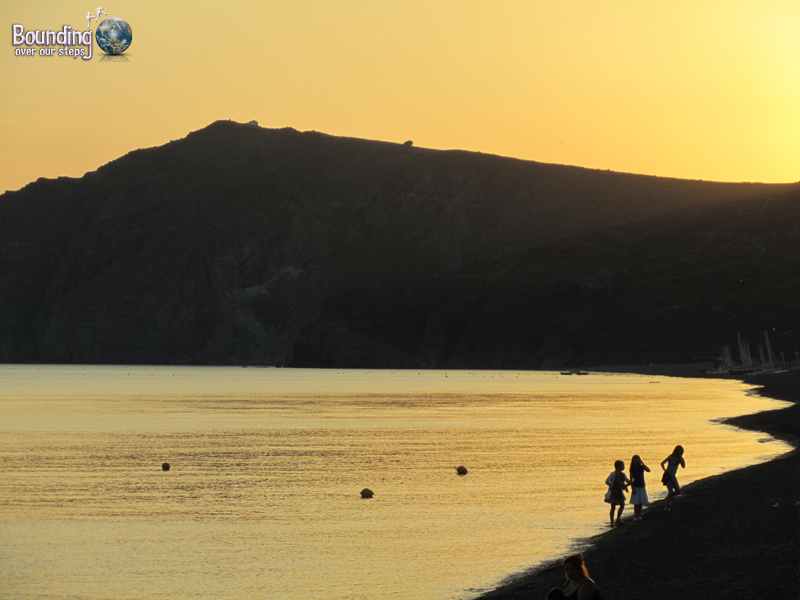 Visiting Eresos was to be nothing short of walking through the gates of heaven. We would not have been surprised at all if the streets were paved in gold and there was a welcoming committee to greet us just for showing up. We also expected the bus from the port town of Mytilini to Eresos to be filled with international lesbians making their pilgrimage. The reality was quite different. For starters the bus was full of mostly older local women, some of whom made the sign of the cross every few minutes, and an Orthodox priest. Not only were we the only lesbians traveling, we also seemed to be the only tourists. The village of Eresos was the last stop in a long series of them. We were let out not in the midst of a parade of lesbian welcome banners and shouts of “Hoorah”; instead, in what looked like an abandoned parking lot surrounded by cracked cement. As we walked towards the water and passed shop after shop all boarded up, we began to feel let down and wondered if we would stay more than a night. When we got to the waterfront we saw a few people scattered here and there but where were the droves of lesbians? The village appeared to be much smaller than we had let it become in our minds. After finding a nice room with a balcony overlooking the water, we began to explore and get more settled. Looking back on our four days there, Eresos had worked on us slowly. 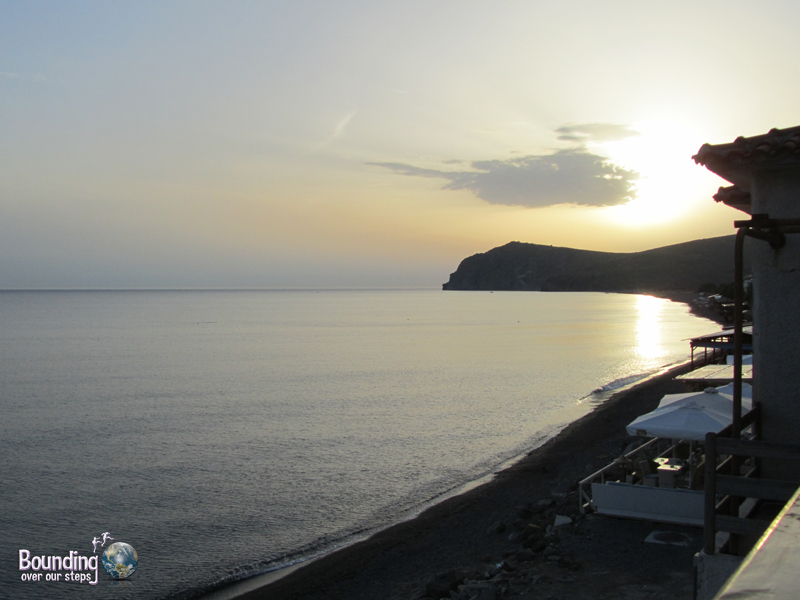 The magic and the beauty of the area was subtle yet very powerful: exchanging a knowing smile with another lesbian couple as we passed on the street, enjoying a sunset but being awestruck when the moon took over the sky and discovering the various moods of the Aegean. 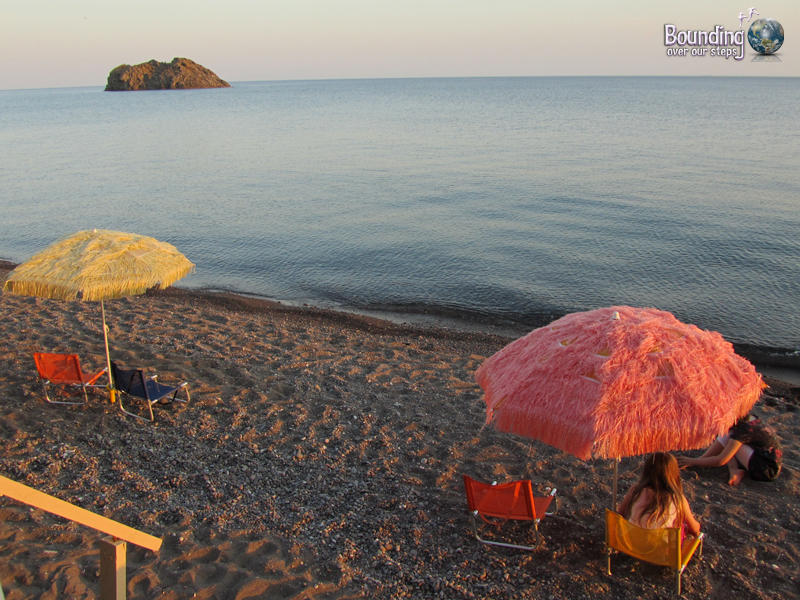 Eresos can be described as a village with incredible feminine energy. This could be seen and felt by the moon, the sea and the many cats that call Lesbos home. (Everyone knows that all cats are female and all dogs are male. 😉 The village is also filled with gates of various sizes and colors, yet there seemed to always be one of the doors left open. 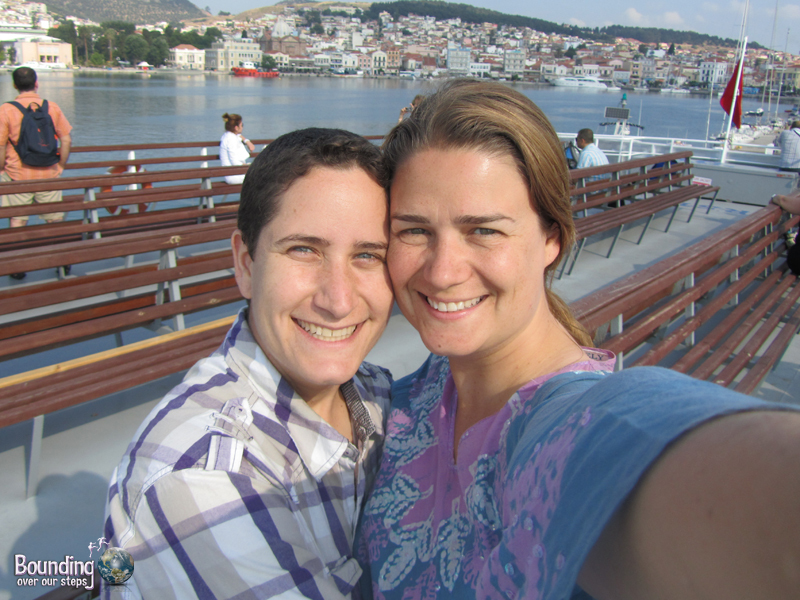 Midway through our short visit, while eating dinner on the Aegean, we overheard a lively lesbian exclaiming, “It’s so good to be back.” Noticing our wide grins in her direction in response, she opened a conversation with us by asking if this was our first time to Lesbos. When she learned that it indeed was, she began speaking to us with the husky voice of experience. “It may be your first time here,” she began, “but I guarantee it won’t be your last.” She continued, “It’s not just about the women. The women is the cherry on the cake and that’s the cake.” She pointed to the Aegean. We don’t know if our experience would have been the same had we arrived one month later during the height of the tourist season, but we found the subtle introduction to Eresos perfect in every way. A couple days later on the ferry back to Turkey as we watched the island of Lesbos become smaller and smaller and with tears in our eyes, we realized the woman at the restaurant was right. Lesbos was under our skin and we knew that we would indeed be back. How romantic! Opa and I are glad you are having a wonderful time!